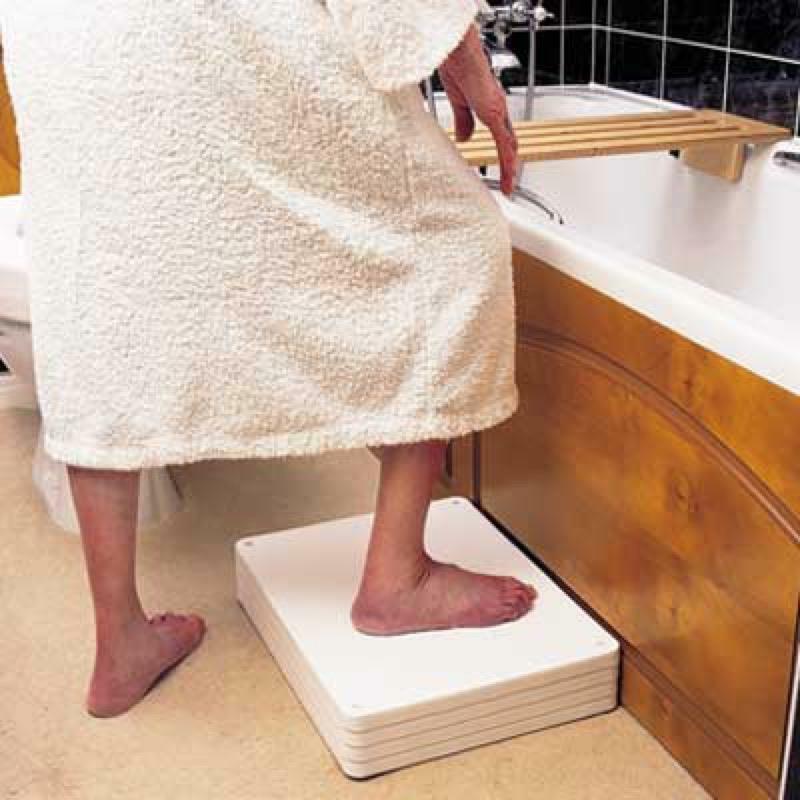 The Langham Bath Step is a unique and versatile modular adjustable platform bath step. It features individual sections that slot together building up a secure and stable platform. The step is supplied with four sections that give a basic step height of 100mm (4"). Sections can be removed or extra sections added to decrease or increase the height accordingly. The bottom section has four rubber non-slip feet to provide extra grip and the surface of each step is slightly textured which offers the user a safe purchase. Each section is 25mm thick and has four strong locator pins that simply slot into the section below.